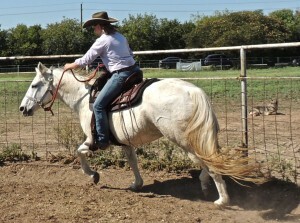 On Saturday, July 18, 2015, Gabby’s Sanctuary ARK will host a hands-on class in horse handling and safety for people 18 years of age and older. 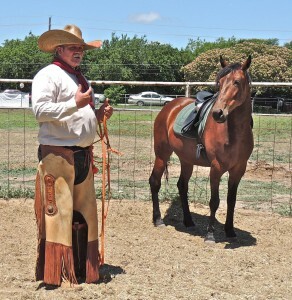 This is the first in a series that begins with basic safety and horse care (e.g., putting a halter on a horse) and goes all the way to safe riding. A student class will be scheduled later for those younger than 18. All levels of experience are welcome. The class will be held at the Rollin’ C Ranch, 1916 N. Westmoreland Rd., DeSoto, TX using the Gabby’s Sanctuary ARK horses for training. 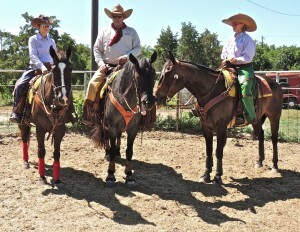 The class will be conducted by Robert Liner and his assistants from Spirit of the Horse. In this class, we will be building a common language between the volunteers and the Gabby’s Sanctuary ARK horses. Building a team where everyone does the same tasks the same way makes horse handling safer for everyone, and more comforting for the horses. This class differs from the demos presented in the past in that participants will have the opportunity to practice these skills during the class, plus it takes Gabby’s Sanctuary ARK to a new level of safety. Registration begins at 8:00 a.m., and the class begins promptly at 9:00 a.m. and lasts until approximately 2:00 p.m. The fee for the class is $35 per person and includes lunch. Be sure to wear boots or shoes that will protect your feet (no open-toed shoes or sandals). Long pants are recommended. ONLINE REGISTRATION IS AVAILABLE NOW! You can reserve a space by completing the registration form and paying a $10 non-refundable deposit via PayPal and pay the remaining $25 on the the day of the class, or you can pay the entire amount on PayPal now.